Many of us have been there – budgets are tight but targets, the need to grow globally and reach other markets/languages remain. Free online translation tools can be tempting, either to get the general ‘gist’ of some text, or as an alternative to using a professional linguist, but it’s important to remember 3 things before you hit “translate” – security, quality and cost. As soon as you type text into a free online translation tool, your content is instantly public property. In 2017, it was reported that Norwegian oil company Statoil had been using a free online translation tool, and subsequently, their content, including sensitive information, was freely accessible via a search engine. 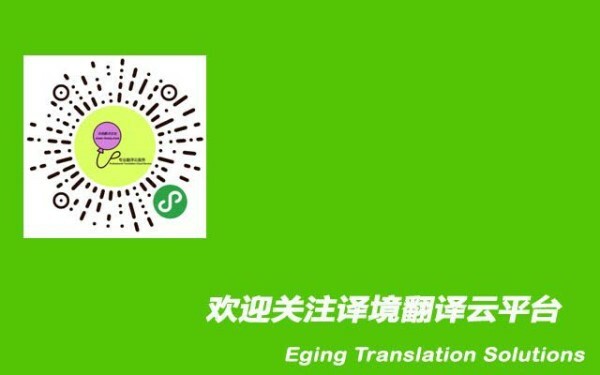 At Eging TI, we use a secure, online platform to manage all translation projects – your documents and content are uploaded to our SmartMATE Dashboard and protected at all times. Our linguists and Project Managers log onto the same cloud-based system – files aren’t downloaded onto an individual’s local computer. Whilst some of the industry heavyweights such as Google, Microsoft and Facebook are making news headlines with their own developments in translation technology, any free translation tools are still behind professional language service providers when it comes to quality. When sports brand Nike wanted to release its special edition trainer for the Chinese New Year, they decided that the shoe could be customised with the characters發(‘fa’) and 福(‘fu’) on the heel. The idea was good, as the first means “prosperity” and the second “luck”. But if you put the shoes side by side, together the words mean “Get fat”. A prime example of what happens when free translation tools take words out of context. Free translation tools might seem like a cheap alternative to paying a professional linguist, but what about the cost when translations go wrong? Sure, it might be free at first, but consider the cost of pulling an advertising campaign, re-printing user manuals or holding up legal proceedings due to a mistranslation. There’s also something you can’t put a price on – your reputation, and the damage of a mistranslation made public to your audience could cause huge repercussions. Whilst professional translation isn’t cheap, it should be considered as more of an investment, especially if you want to engage with your customers and stakeholders. Working regularly with a professional language service provider means that you’ll benefit from economies of scale, and the more work you get translated, the more money you’ll save via technology such as translation memory. As the saying goes – you get what you pay for. It’s a compromise you don’t want to make when it comes to the quality, reputation and security of your business.